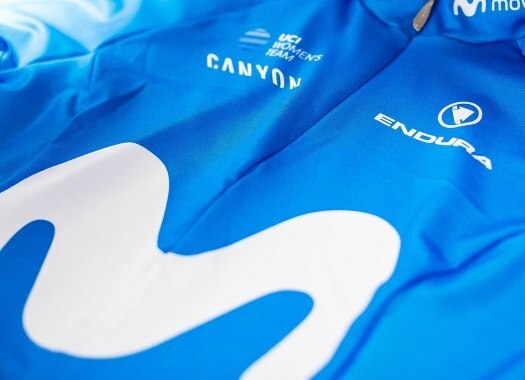 Movistar's Winner Anacona has taken the victory of the Queen stage of the Vuelta a San Juan and has taken the overall lead of the Argentinian race. The peloton faced the fifth stage of the Vuelta a San Juan just after the rest day. The day featured a 169.5-kilometre route that included one climb of the third category, two of the second and a finish on a first category ascent to the Alto Colorado. Anacona accelerated at the start of the last climb and left Deceuninck-Quick-Step's Julian Alaphilippe, who was until then the GC leader, struggling behind being helped by Remco Evenepoel. The Colombian arrived to the last kilometre with his fellow countrymen Cesar Nicolas Paredes and Cristhian Montoya from Team Medellin, and he had the stronger legs to cross the finish line in the first position and take the lead of the overall classification. Alaphilippe is now in the second GC position at 41 seconds from Anacona and the winner of the last edition of the race Oscar Sevilla is in the third place at 57 seconds from the Colombian. "I feel so happy about this victory," said Anacona. "It’s been four years since the last time I won, and this is a big moment for me. This was one of my main goals for 2019 – claiming a victory – and I’m so glad to have achieved it so early. "I feel at ease when I work for my team-mates, both Nairo and the rest of the team, but I can’t deny this was an aspiration of mine, and it should give me the confidence to move forward and become a better rider. And indeed, this win was a consequence of perfect teamwork. They protected me well, they gave me the confidence I needed, and I can’t thank them enough for their work for me."